Lewis Hamilton took his second win in succession by dominating an eventful Spanish Grand Prix. The Mercedes driver was supreme at the front in a race that featured a heavy first-lap crash, two caution periods and a number of spins and collisions. 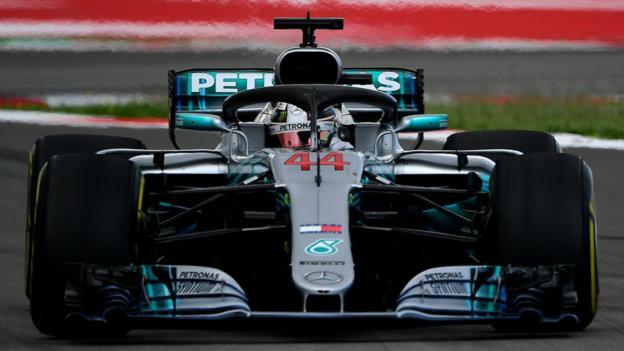 Hamilton's win moves him into a 17-point championship lead as rival Sebastian Vettel took fourth following questionable strategy calls from his Ferrari team. Valtteri Bottas made it a Mercedes one-two ahead of Red Bull's Max Verstappen. The Dutchman held on to third place, easily fending off Vettel's challenge, despite damaging his front wing when he ran into the back of Lance Stroll's Williams at the restart after a mid-race virtual safety-car period. Vettel dropped to fourth from second when Ferrari decided to pit him under the virtual safety car so he could attack the last part of the race with fresher tyres. But the decision did not work out and cost Vettel what could be a crucial six points in his title fight with Hamilton.